A row of beach chairs line up along the shore in Miramar Beach. 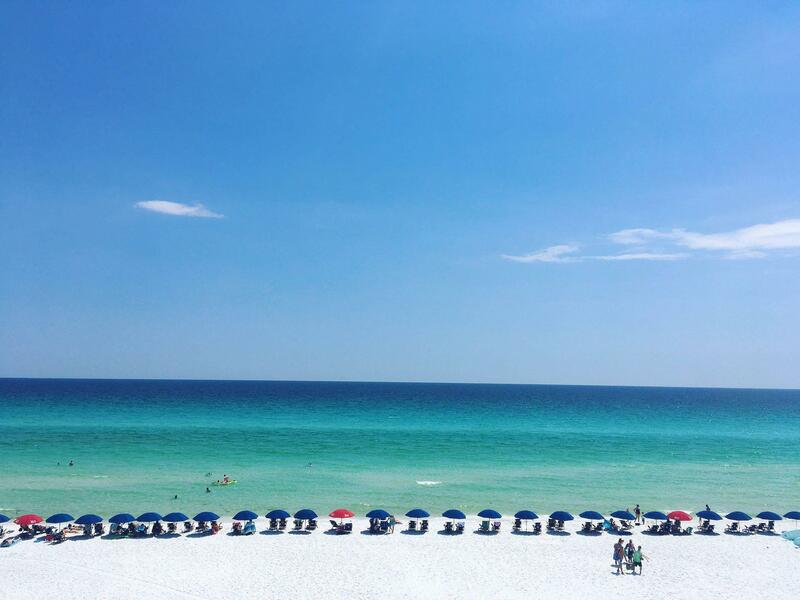 People visit Destin and South Walton primarily for the beaches. But local governments are finding there’s little public access to its No. 1 asset. Now, they’re tasked with buying beachfront properties for visitors to enjoy. The City of Destin has 13 beach access points. Eleven of those are city-owned, one is county-owned and one is owned by the state. Most of them provide only limited access to the beach creating a problem for visitors who want to enjoy the Emerald Coast. 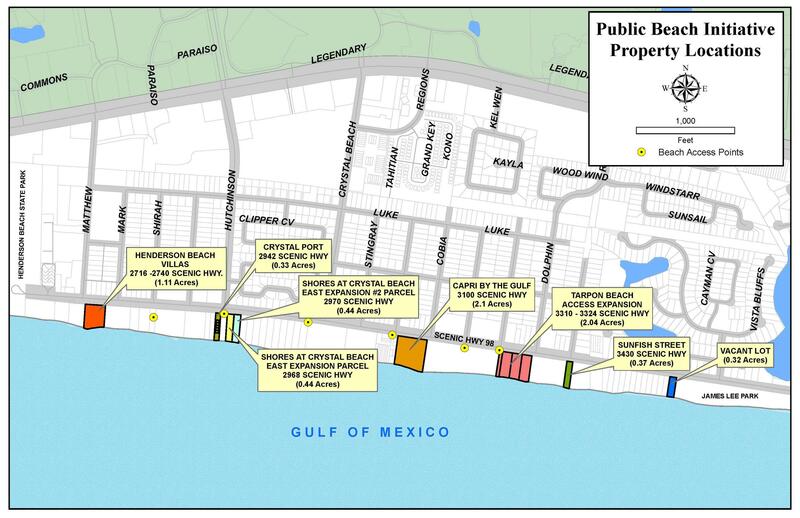 City officials are currently waiting for appraisals on eight Gulf-front parcels. The appraisals are being conducted by the local firm Humphreys and Associates and should be completed in about two to three months. Councilwoman Prebble Ramswell said the area’s rapid growth has caused a bit of a turf war between beachfront property owners and the vendors and visitors who come to the beach. Properties to be appraised for purchase by the City of Destin. The parcels under review include an expansion of Tarpon Beach access, which is 2.04 acres and 336 linear feet. The parcel is listed for $17 million. Another potential property is a 68-foot parcel of land west of Shores at Crystal Beach listed for $3.8 million. It’s no surprise that beachfront property comes with a hefty cost. The city will seek funding from grants and Okaloosa County Tourist Development Council, Ramswell said. “We’re looking at funding opportunities through the state Triumph Gulf Coast,” she added. In South Walton, beach access is a hot topic as commissioners work to establish a new customary use ordinance. However, county’s efforts to purchase more beach access predates the customary use issue, said David Demarest, director of communications. “We’re constantly on the lookout for more beach access," Demarest said. "If it's easier to get to the beach, more people are going to visit." South Walton has about seven miles of beach access, including state parks. And during the tourism season, the county covers the cost of entry to Topsail Hill State Park and Grayton Beach State Park to guarantee access. Since 2016, Walton County TDC has purchased several beachfront parcels using bed tax dollars. In November of last year, the county was prepared to purchase a one-acre parcel of land on 30A, however, they were outbid for a “significant” amount of money, Demarest told the Northwest Florida Daily News. After a six-hour meeting public hearing last November, County Commissioners voted unanimously to take the case of customary use to circuit court. “It’s a true guarantee of access,” he said. Regardless of what goes in the state legislature, the TDC will continue to look for beachfront property to increase access for locals and visitors who support the area.